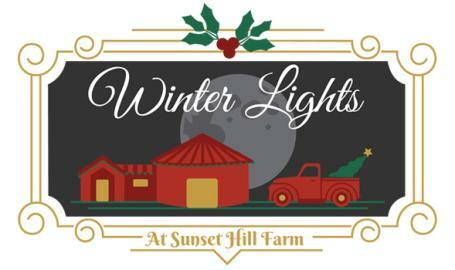 Our annual Winter Lights Night Festival allows you to be among the first to enjoy the magic of our Winter Lights display at Sunset Hill Farm County Park. This family-friendly event includes a chance to meet Santa, make crafts, decorate cookies, sing carols, enjoy s'mores by the bonfire, and marvel at the fireworks display. Visitors can also begin their holiday giving by bringing Toys for Tots. Join us November 23, 2019 from 3-8pm. It's only $5 per car to attend. The lights display stays up until just after the new year. Visitors can enjoy the lights any time for free during this time, and a donation box is available for those who would like to contribute. You can find additional updates on our Facebook event page.